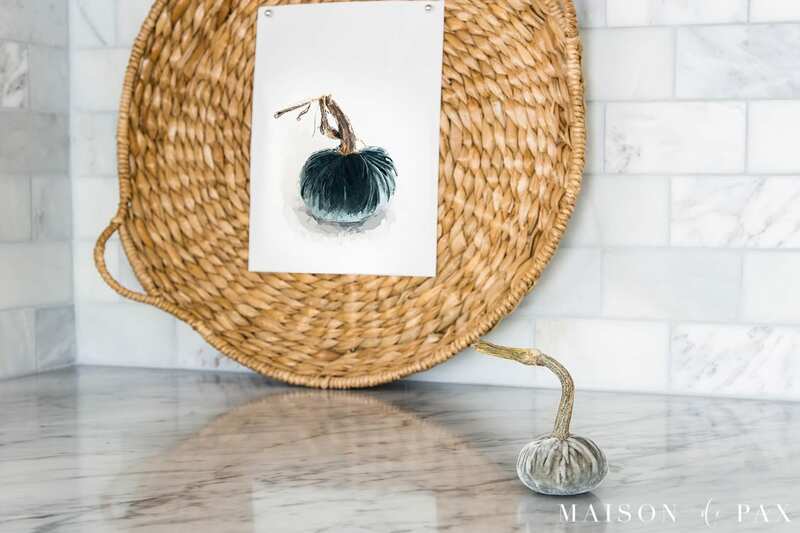 If you love inexpensive and easy ways to decorate your home for fall, then this is perfect! 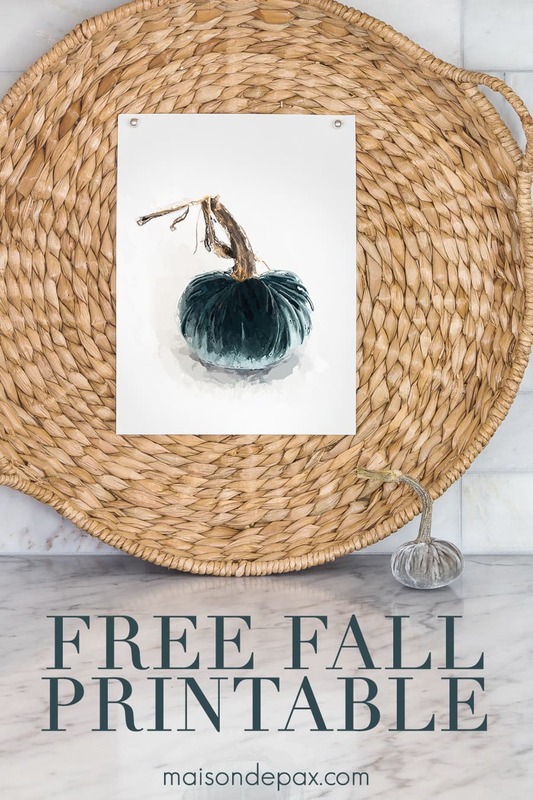 I’ve got 30+ free fall printables for you, including a velvet pumpkin painting. Many years, fall is my favorite season for decorating. I think it’s because there’s more excuse for it than spring or summer without the pressure of Christmas. 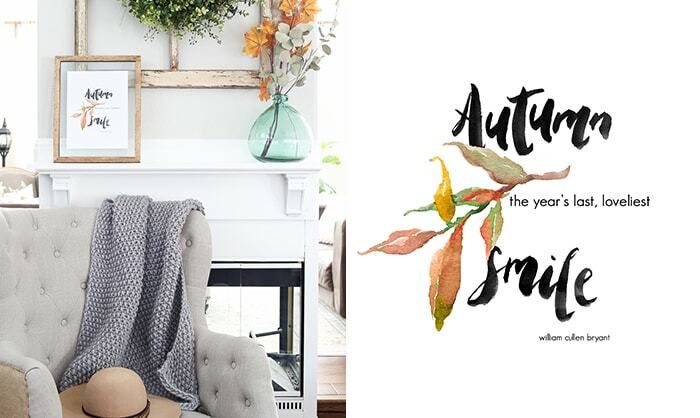 😉 And for several years now, I’ve simply embraced the fact that traditional fall colors are not my cup of tea, and it’s allowed me to love decorating for this season even more. So naturally, when I set out to make a fall printable for you, I felt that a blue velvet pumpkin was the perfect subject. 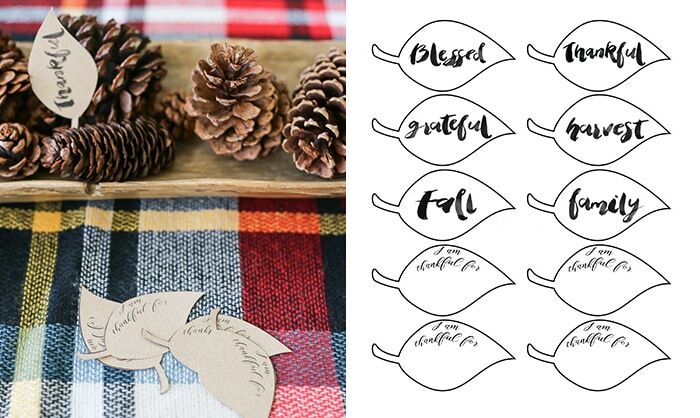 I printed it out and added it to a shallow basket with a few push pins, but you could frame it, hang it on a clipboard, or print smaller versions to use as place cards at your Thanksgiving table… so many possibilities. Or you can always pin it for later. And now I’ve got 30+ other free fall printables – some from my talented friends and some fall ones I’ve made in the past – to share with you! I love what an easy (and free!) 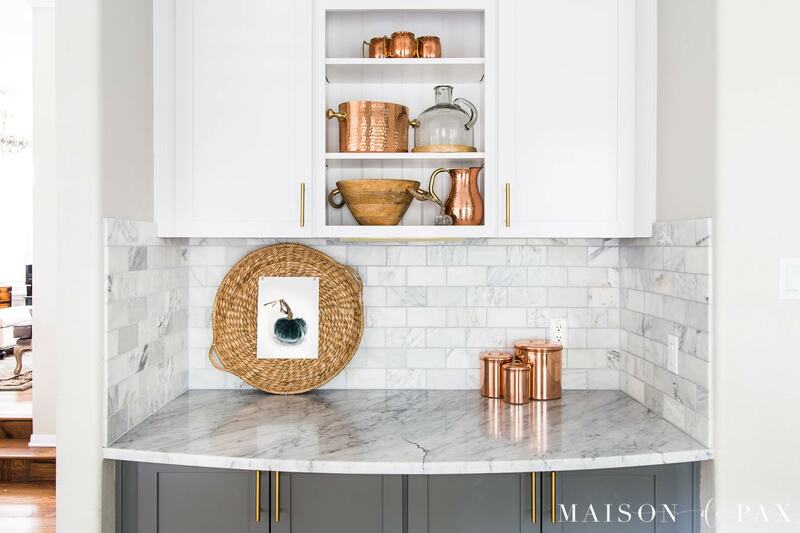 touch of fall this can add to your home. 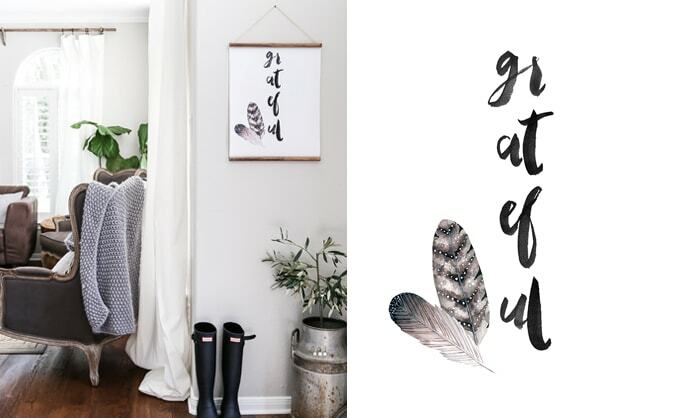 Such a beautiful printable, thank you for sharing! 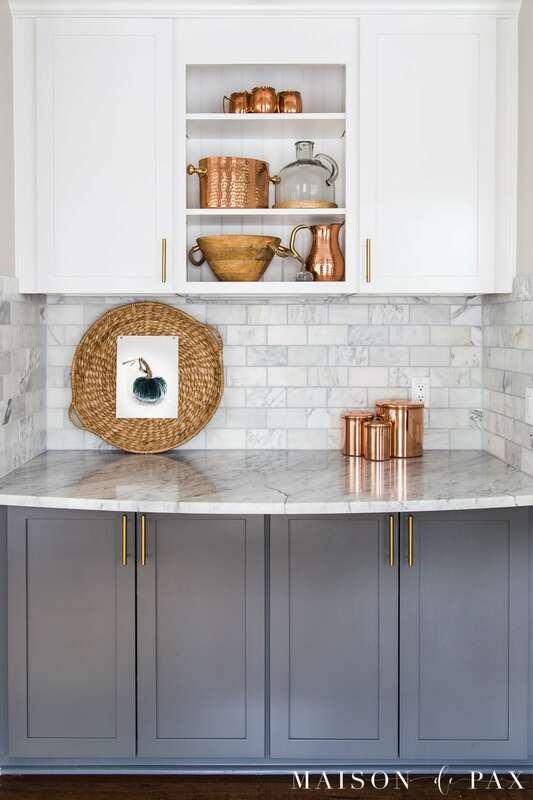 Thank you so much for sharing this post – wonderful idea and really budget friendly! Rachel! This is the most beautiful painted pumpkin this “artist” (teehee!) has seen online! And the unique coloring is spectacular! You are skilled in so many ways … I really appreciate your sharing! Thank you—I am so glad you like it! Thank you, Rachel! This print is lovely, I know just where I am going to display it. Perfect! I am so glad you love it! I am not a traditional “fall color” gal either. I love the changing of the leaves outside but inside I am a “blue” girl. This is so beautiful and fits in with my décor PERFECTLY! Thank you for sharing!